Does Drought Pricing for Water Violate California Law? 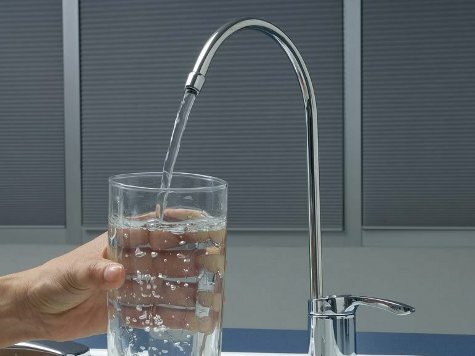 The California Legislature knows that the State Water Board’s unprecedented July 15 decision allowing local law enforcement and water agencies to impose a maximum $500-a-day fines on water wasters is difficult to enforce and is creating a rising backlash against the politicians. Economists from across the political spectrum recommend adding a simple, administrative, punitive surcharge onto water bills. Yet it appears higher rates for water usage are effectively a tax on usage, violating the 1996 voter-approved Proposition 218, requiring voter approval for all tax increases. The Howard Jarvis Taxpayers Association (HJTA) was Prop 218’s major sponsor, and continues to be the most stalwart court defender of its voter consent mandate. Wayne Lusvardi of CalWatchDog.com asked HJTA’s President, Jon Coupal, for his opinion regarding the surcharge. The California Supreme Court, in Bighorn-Desert Water Agency vs. Verjil (2006) already ruled that water-rate increases or decreases are “property-related fees,” and therefore subject to Prop 218. Prop 218 does allow rate increases for higher operating costs or inflation, but mandates that any rate increase “shall not exceed the funds required to provide the service.” It does not allow discretionary rate increases for anything above such costs as water conservation and climate change mitigation. Peter Gleick of the Pacific Water Institute in Oakland. These advocates are calling for discretionary pricing as a “market solution.” But 95% of state system water in California is already controlled by government-owned water agencies and other layers of government. Only 5% of water is owned by the free market. When buying a car, a cell phone or a hamburger, if the customer is dissatisfied with a high price or lousy quality of a product, he or she can simply switch to another provider, but with water there is no way for competition to create a more competitive water supplier. The only option is to physically move into a new water district — something that is not practical for most farmers, homeowners or businesses. Since true “market solutions” do not exist within government, voters approved Prop 218 protections. Most water districts already have a tiered structure for water use, where heavier users pay higher rates to encourage conservation even in times where there is no drought. Such payment tiers can be structured around the water source or service (potable, recycled, construction, fire), and still not trigger Prop 218 voter requirements. But if the tiers are based on usage alone, then Prop 218 is triggered. Using primary pricing data from 125 Texas communities spanning more than two decades (1981 – 2003)….The adoption of water pricing structures alleged to promote water conservation (e.g. increasing block rates) does not lead to expected results as in our sample (13447 observations) consumption increased by 5-6 %…after the change occurred.